This new book analyses the legal and practical issues experienced during the Lehman Brothers litigation, the largest and most complex bankruptcy proceedings in history. 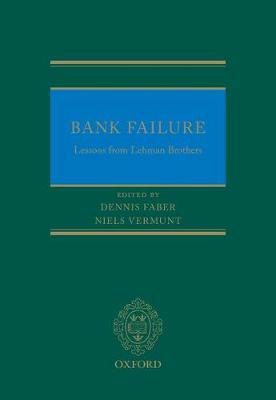 By examining the issues the work provides a useful reference source for future large scale and cross-border bankruptcy proceedings of multinational groups.The author team includes experts from the various jurisdictions in which Lehman Brothers was operative, many of whom were involved in the litigation. The authors set out practical solutions to the issues faced, concerning, for example, the use of existing payment and settlement systems for consent solicitation, and filing instructions and insolvency distributions. Economic challenges, such as the valuation of distressed financial instruments, are also considered. Additionally, the book provides a critique of the current law, analysis of the interpretation and scope of core legal principles and makes recommendations for regulatory reform and judicial cooperation.In this book first-hand accounts by key parties in the insolvency proceedings with expertise on the main issues are complemented by the views of selected independent experts to provide the first complete work on this ground-breaking litigation.